At the end of their training, the apprentice will be expected to demonstrate that they meet the apprenticeship standard. This will be through independent end point assessment. If they meet the standard they will be deemed to be fully competent in that occupation and will receive a graded apprenticeship award. 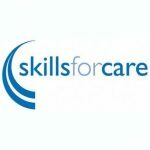 The assessment plan describes how mandatory end assessment will work for health and social care apprentices trained to an apprenticeship standard. You can download an overview of the assessment models for health and social care apprenticeships. You can download the full Assessment plans for each of the standards. 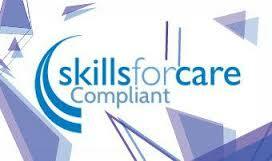 The assessment specification describes the scope of the end point assessment tests. Each assessment plan is approved by the skills minster following a rigorous review process. The assessment plan is for training providers, apprentices and employers who need to understand how an apprentice being trained for the occupation should be assessed at the end of their training. The plan does not cover the training input and on-going competence evaluation carried out by the employer or their nominated training providers, which is not part of the mandatory end assessment. CBD Training has developed The CBD Training Guide to End Assessment for Level 2 apprenticeship standards and The CBD Training Guide to End Assessment for advanced apprenticeship standards. These guides describe how end assessment will work, who should be involved and the different types of tests. Preparing for end assessment and working with CBD Training are also covered.